Dahl Al Hamam Family Park is located in Madinat Khalifa, Doha adjacent to the intersection of Al Markhiya Street and Arab League Street. The park has an area of 93,297m2, and is well equipped. 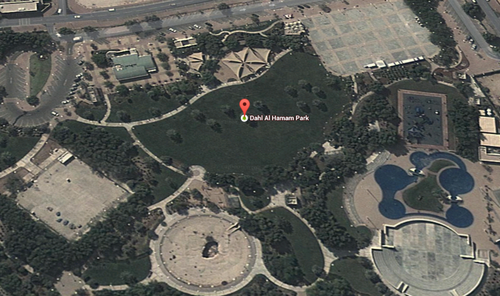 Dahl Al Hamam is a family only park. Facilities and services at the park include sports activity areas for football, basketball and skateboarding, an open air theater, a children play area which is shaded along with a small open playground, a restaurant and food court. Parking is also available with free wifi as an added advantage.